Pierre Moscovici, a senior EU official, has likened the current political landscape in Europe to that of the 1930s, when politicians like Hitler and Mussolini were pursuing nationalist policies. Although he mentioned no names, Italian Interior Minister Salvini took his remarks personally. Italy's Interior Minister Matteo Salvini, an outspoken proponent of hardline immigration policy, lashed out at the EU's Economic Commissioner Pierre Moscovici's recent comments about the emergence of "little Mussolinis" in Europe. "He should wash his mouth out before insulting Italy, the Italians and their legitimate government," Salvini, who also leads the right-wing League party, said in a statement on Thursday, as quoted by Reuters. He took another jibe at Moscovici, France's former finance minister, accusing his country of pushing Libya toward chaos by helping to bring down former strongman Gaddafi. "EU commissioner Moscovici, instead of censuring his own France, that rejects immigrants…, has bombed Libya and has broken European (budget) parameters, attacks Italy and talks about ‘many little Mussolinis' around Europe," Salvini said. This fuming tirade came in response to Moscovici's remarks, in which he voiced concerns that Europe is being taken over nationalist leaders that resemble "little Mussolinis." "Fortunately there is no sound of jackboots, there is no Hitler, (but maybe there are) little Mussolinis," he said at a European Commission event in Paris on Tuesday. A handful of netizens have sided with the Italian minister, with some of them claiming that the real Mussolinis don't reside in Italy. The only Mussolinis are the ones ruling in Bruxelles, without accountability, blaming sovereign peoples for their own failures. — Alberto Castiglioni (@alberto88ca) 13 сентября 2018 г. "Moscovici's gang is the problem. Salvini wants to save Italy from an invasion of Huns led by Attila-Juncker!" a user wrote. C est la bande a Moscovici,le problème! Salvini veut sauver l Italie d une invasion de Huns dirigés par Attila-Juncker! — Jean-François (@arrachar4) 14 сентября 2018 г. "Better little Mussolinis than little Merkel and Macron," wrote a woman going by name of Gisela van der Coelen. — Gisela van der Coelen (@Gvandercoelen) 13 сентября 2018 г. Nationalist and far-right parties have been making gains in the EU in recent years in the wake of the open-door migration policy initiated by German Chancellor Angela Merkel, which led to an unprecedented influx of immigrants into the bloc, mainly from the Middle East and North Africa. In late May, the right-wing League and the Eurosceptic Five Star Movement formed a coalition in Italy, the EU's third-largest economy. Ever since, the fresh government has adopted a hardline stance on immigration and stirred a diplomatic row in the EU after Salvini had barred NGO-operated migrant rescue vessels from Italian ports. 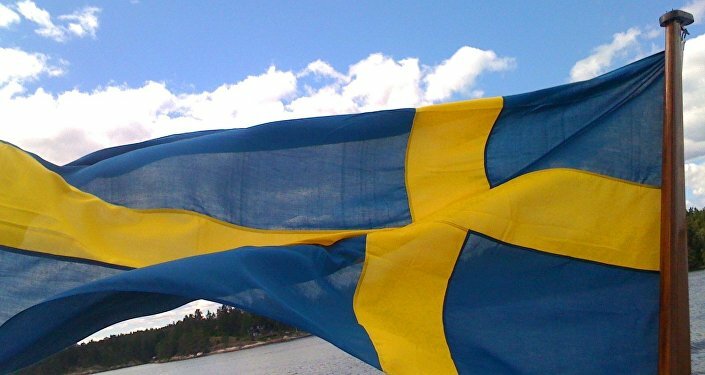 The anti-immigration Sweden Democrats (SD) is the latest populist party to have made significant electoral gains. Earlier in September, they won 17.7 percent of the vote, up from 12.9 percent last time, and expressed a readiness to engage a dialogue on creating a coalition government with the opposition. In April, Hungary's nationalist Fidesz party, led by Viktor Orban, secured a third consecutive election victory in the Hungarian presidential election after campaigning on a nationalist platform. Last December, Austria's right-wing Freedom Party joined the country's coalition government, and its leader Sebastian Kurz became Austrian Chancellor. His rapid rise to power has been largely shaped by his repeated calls for tougher EU immigration policies.